My top 10 graph blog posts of 2016! When I was a kid, I always looked forward to Casey Kasem's American Top 40 song countdown at the end of the year. Did I listen to check whether my favorite songs had made the list, or to critique how well the people making the list had done in picking the 'right' songs? Of course, it was probably a little of both, hahaha! This was a timely topic, since one of the justices recently died and the president will be appointing a new one. 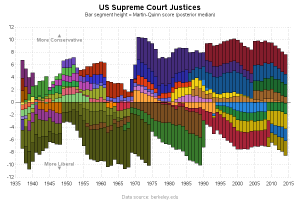 I really like the graphical representation I came up with, because it shows the balance between the liberal and conservative justices. It will be interesting to see if the balance shifts, or stays the same, after the new justice is appointed. After the Moneyball movie came out a few years ago, sports teams have realized that analytics can give them a huge advantage. Historically, baseball has probably been the sport with the most data collected ... but in recent years, other sports like football and baseball have been increasing their data collection by leaps & bounds. 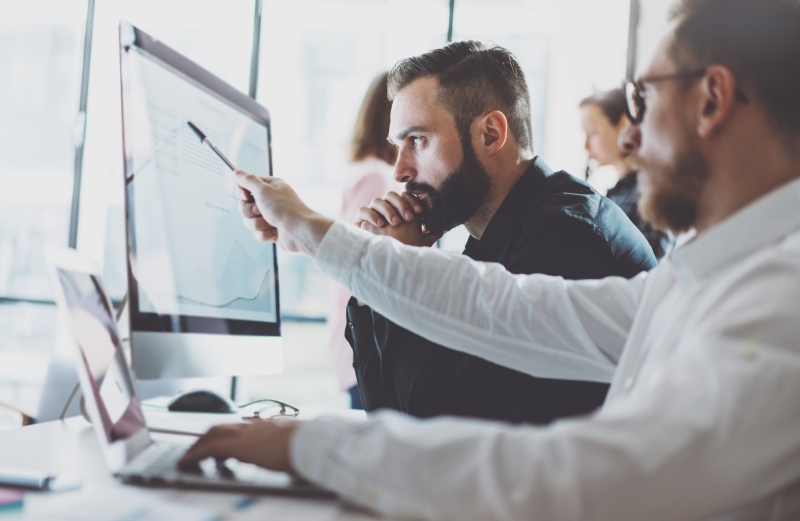 The amount of data could be overwhelming, but a good graph can help you get a handle on thousands of data points on a single page. 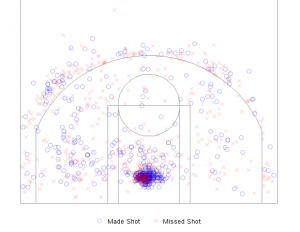 This post shows how to use SAS to create a custom graph that looks like a basketball court, and plot all the shots on it. 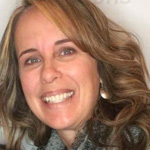 Prince's songs were really popular during my formative years, and I was sad to hear that he had died. Looking back, I was wondering when all his songs had been released, and plotting the data on a time-axis seemed like a good way to visualize the data. If you're a Prince fan, you'll want to check this one out - it's a cool discography, and also a nice tribute to Prince, The Artist! 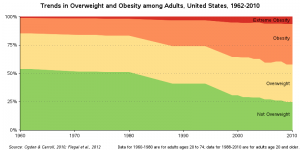 In the last couple of decades, the US has seen a dramatic increase in the number of overweight and obese people. I found a graph that tried to show this shift, but there were several problems with it. Therefore I demonstrated step-by-step how I thought it should be changed, and came up with (what I think) is a graph that shows the data really well. Pokémon: Gotta graph 'em all! The new Pokémon game became really popular this year, after it came out as a smartphone app. Therefore when I found out that there was a huge collection of data available, I knew I had to graph it. 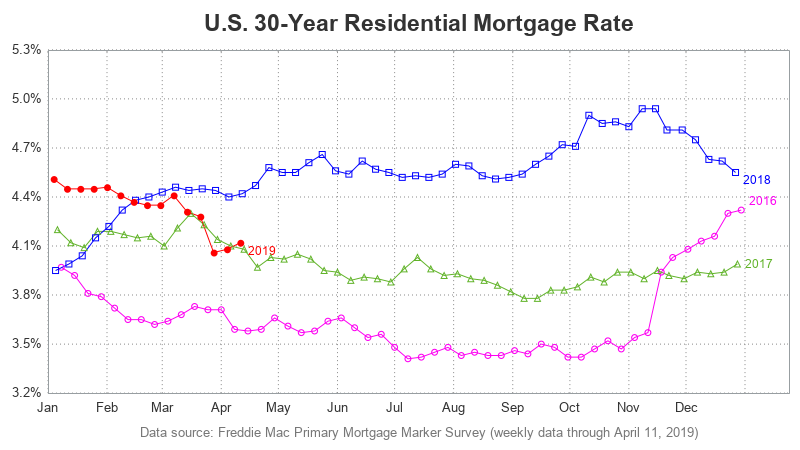 In this post, I show several different ways to graph the various kinds of data. Much to my surprise, my Pokémon blog(s) even got a mention in the local newspaper. 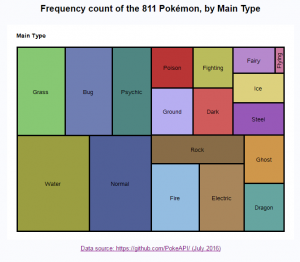 Even if you can't catch 'em all, you can still catch this blog post and find out how to graph 'em all! 91% of the US didn't vote for Hillary or Trump! With this being a major election year, there was plenty of political data to graph. 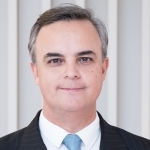 This blog post focuses on an aspect of the election that I hadn't really given much thought to before -- the Primary elections, where each party selects their presidential candidate. 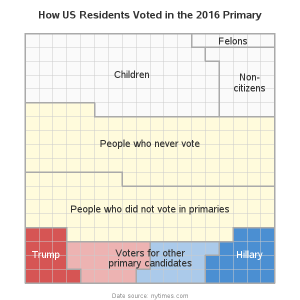 Many people complained that they didn't like either of the two candidates that were in the final election (Hillary & Trump) ... but according to this graph, it is quite likely that those people didn't even vote in the Primaries (and therefore it's their own fault!). If we didn't start the fire, then who did? 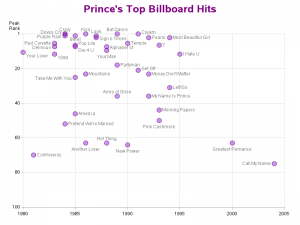 I really like graphing data that is related to pop culture, and especially when it is data from 'my generation.' 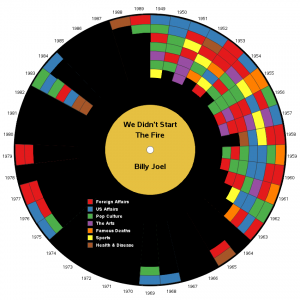 This example takes a Billy Joel song (We Didn't Start the Fire) that was popular when I was in school, and plots all the events mentioned in the song on a timeline graph. But not just any old timeline graph ... this one is shaped like a combination of an old-school vinyl record, and the Tempest video game from the 1980s. I hope you enjoy this graph as much as I enjoyed creating it! Crosswords puzzles were in the news this year, as clever analysts found that many of the puzzles were not actually unique, but copies (or partial copies) of ones already published in the past. 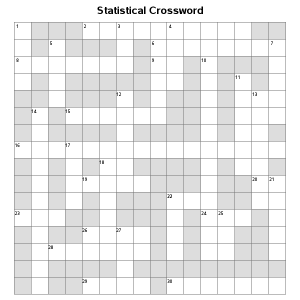 I decided to create my own crossword puzzle, using words from statistics and analytics. 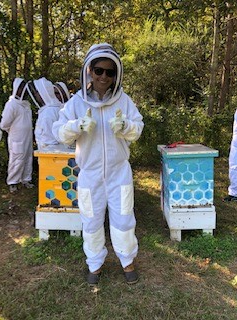 It was a fun project, and also demonstrates that SAS software is flexible enough to do just about anything! 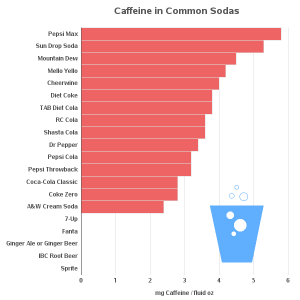 Which drinks have the most, and least, caffeine? Computer people seem to have a reputation for drinking a lot of caffeine. I don't know if that reputation is totally true, but I can say that my favorite and most often used perk at SAS is the free soda machine in the break room, LOL! Therefore, when I found some caffeine data, I knew that I had to share it with my blog readers ... and what better way to do that, than in graphical form! I hope you've enjoyed my 'top 10' list! If you'd like to see these 10 in the context of the other 80 blog posts I wrote in 2016, here's a graph showing them all. 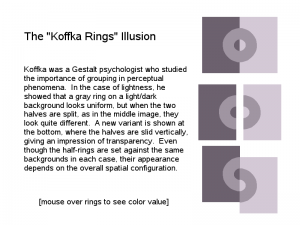 You can click the image below to see the interactive version of the graph, with mouse-over text (showing the titles) and drill down links (which go to the actual blog posts). 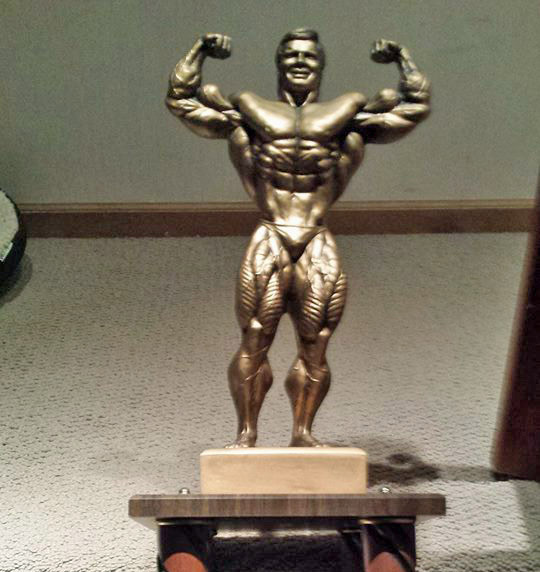 So, how well did I do picking the right blog posts for the top 10? If I left out any that you feel should have made the list, feel free to mention them in a comment! With so many great posts throughout the year Robert, I'm sure it would have been a challenge to pick your top 10! Have a lovely festive season and I look forward to more reading and learning in 2017!